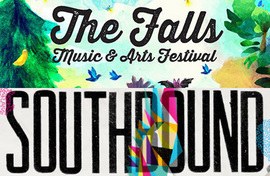 The Falls and Southbound Festivals are lining up to bring you one of the finest, sun soaked, summers of your life! After the mammoth first announce including Foals, Bloc Party, Disclosure, Kurt Vile & The Violators, Mac Demarco, Paul Kelly & The Merri Soul Sessions, Courtney Barnett and many more, they’ve added a few more exciting names to 2015 top drawer line-up! All heading our way, ready for an Australian summer romance with you. The Falls Ticket Ballot saw all of the Lorne ticket allocations selling out quickly with Byron and Marion Bay not far behind. Now is the time to get ready for General Ticket Sales, which start tomorrow morning at 9am AEST for the stunning coastal towns of Lorne, Marion Bay and Byron with all ticket types available. Head to the festival website for all of the deets. Southbound sales have begun and they’re excited to see so many passionate music fans already locking in their tickets and planning their January adventures. 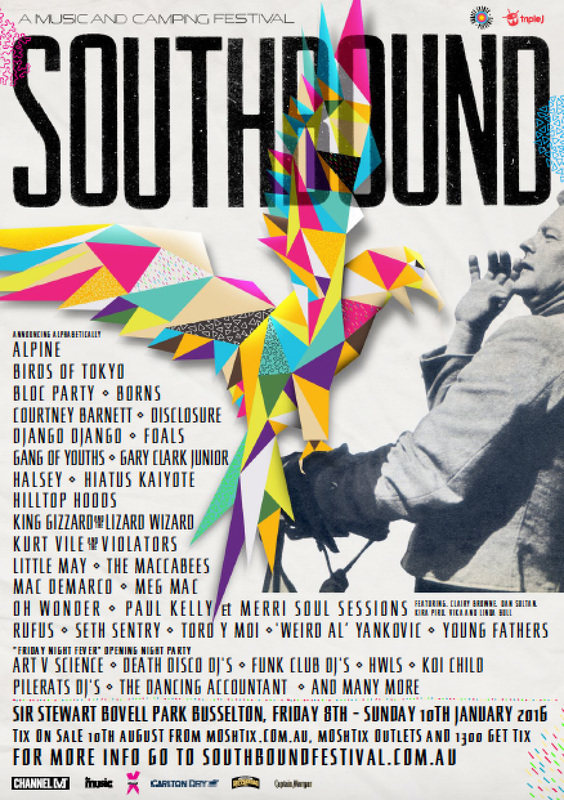 The 12th edition of Southbound promises to incorporate all of the things that you love, plus some exciting new additions! Camping next to cars, the latest arts initiatives, three nights of programming with a brand new night to kick things off, Friday Night Fever, where it’s all about the fancy dress get up, our dance-off comp and having an awesome opening night party in an intimate capped capacity! The majority of tickets are allocated and sold via the Ticket Ballot which is now open at the Falls website. Registrations close Fri 14th Aug. There will be General Sales for those who miss out in the Ticket Ballot, starting at 9am on Wed 26th August. 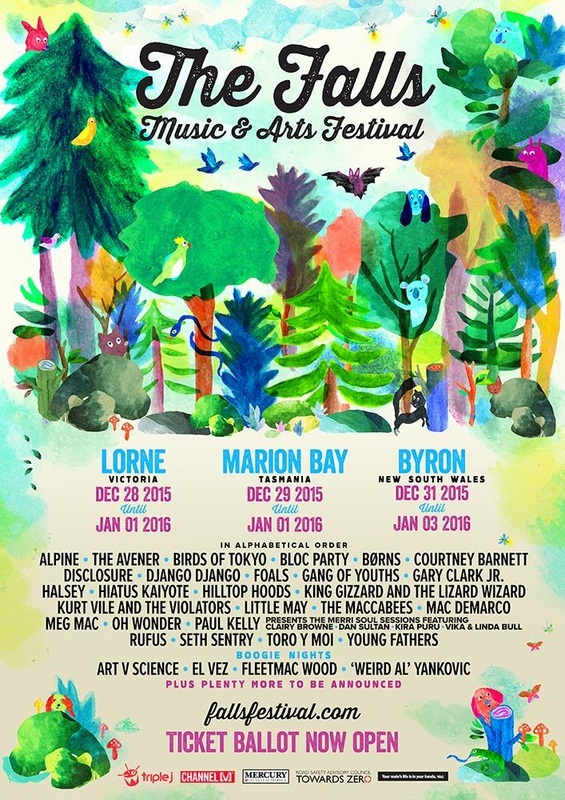 Lorne is now SOLD OUT! Best to book your travel early while availability is high and costs are low, check out the Falls website for all of your options.